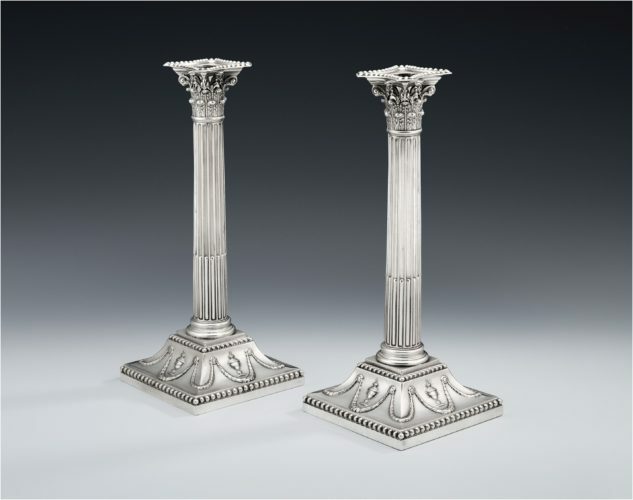 A pair of George III Neo Classical Candlesticks made in Sheffield in 1775 by John Winter & Company. 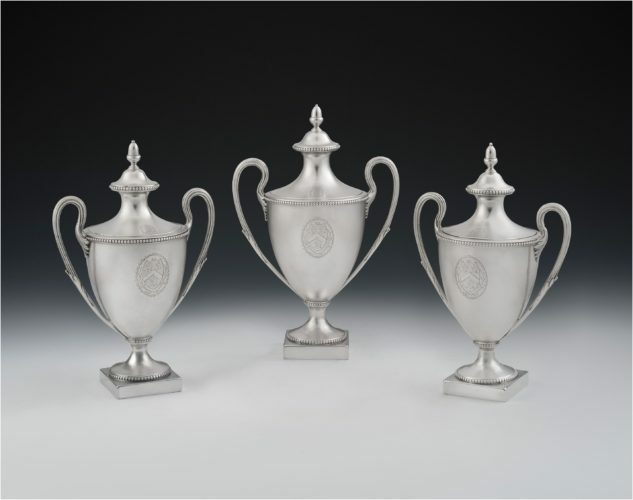 The Wyndham Vases. 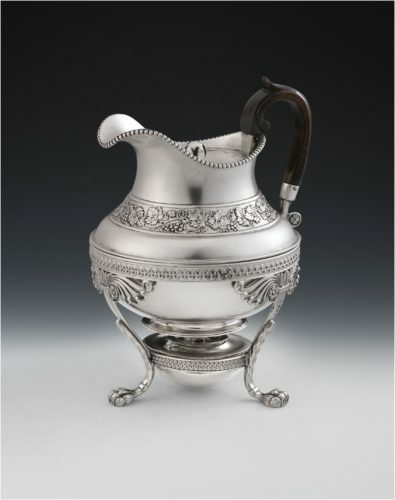 A very fine pair of George III Tea Vases, with their original Sugar Vase, made in London in 1780 by Daniel Smith & Robert Sharp. 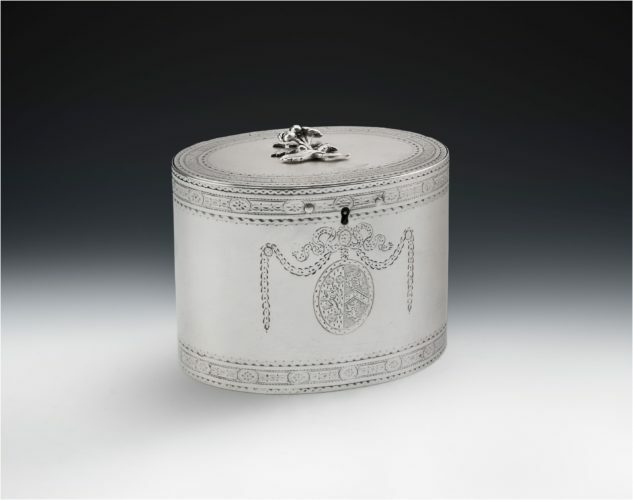 Dealers in Eighteenth century, and earlier, British Silver & early Nineteenth century Collectors’ items.